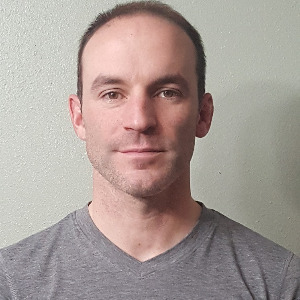 As a lifetime athlete, Coach Kevin Bradford-Parish began racing competitively in the mid 90’s, competing in professional cyclocross, XC mountain biking, endureo, and road racing. From his first local mountain bike race to 2-XC national championships, multi-State championships, and World Cup racing experience Kevin has competed in over 300 races in his 20+ years of racing. Kevin enthusiastically shares his passion, knowledge and experience with his athletes and anyone with an appetite to learn. He has been awarded a level 3 coaching license and a level 1 Bicycle Instructor Certification Program Certification. Kevin is actively involved in the high school Mt bike and Cyclocross community as a driver for continued sport and youth development. Kevin currently serves as volunteer and fundamentals educator for the local high school Mountain bike teams. Kevin is an active member of USACYCLING. Kevin also enjoys snowshoe racing, snowboarding, yoga, kayaking, and racing around with his family. Need to have a device that can upload to the site. Success. Coach Kevin Bradford-Parish has been notified of your message.